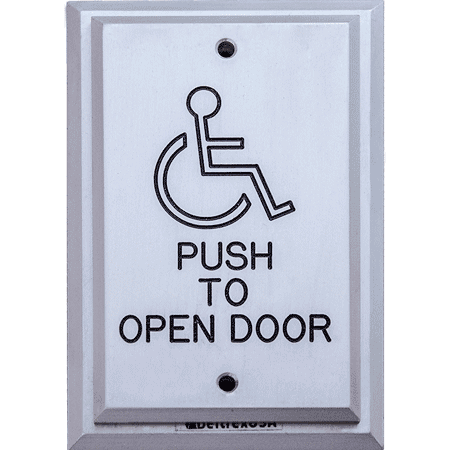 106 Series Push Plate Switch consist of a 1-gang Push Plate on a 1-gang box Back Plate. A full list of customization options are available including handicap symbol engraving. Engraving Available in Spanish, Japanese, French, Arabic, Portuguese and Chinese.